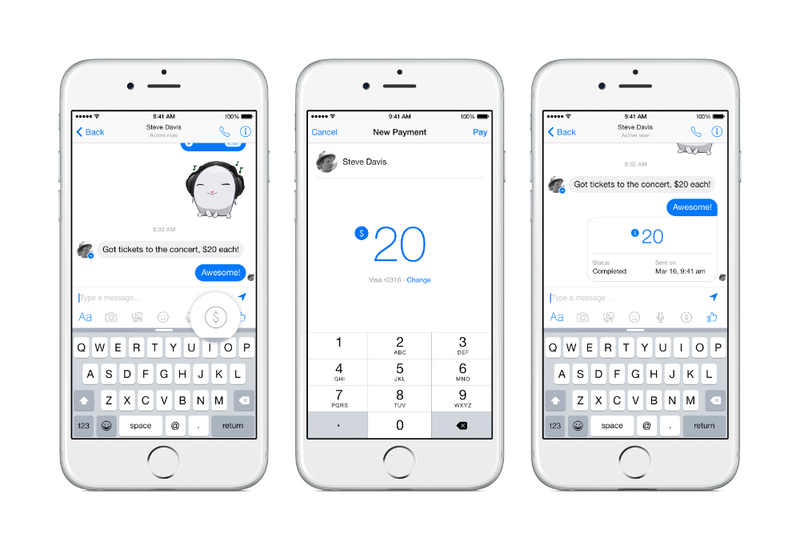 Facebook introduced a new feature for Messenger users this morning – the ability for you to pay friends directly through the messaging service. Say your friend needs you to pay him/her back for the lunch they bought you yesterday. Once the service is available, you can link up a Visa or MasterCard to your account and quickly pay them back. Facebook states that this feature will be rolling out in the coming months, while the company tests it to make sure everything goes smoothly. If you are ready to hand your credit card and bank info over to Zuckerberg, be on the look out for a Messenger update over the next month or so.